Your mouth can’t repel flavor of this magnitude! Ok, got it out of your system now? 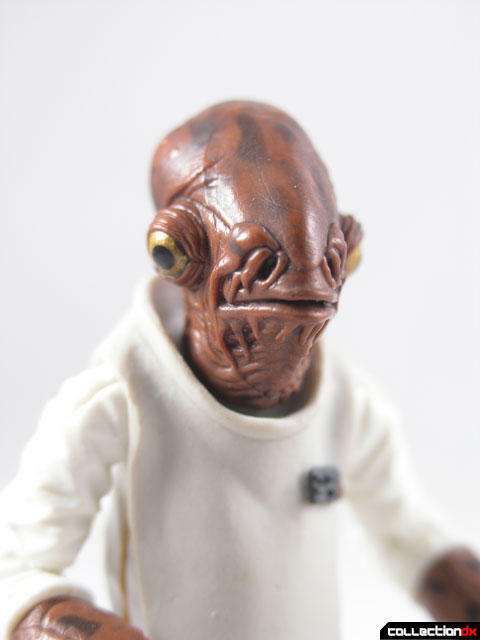 It’s hard not to think “It’s a Trap!” when you think of Admiral Ackbar – he’s practically an internet Meme at this point. 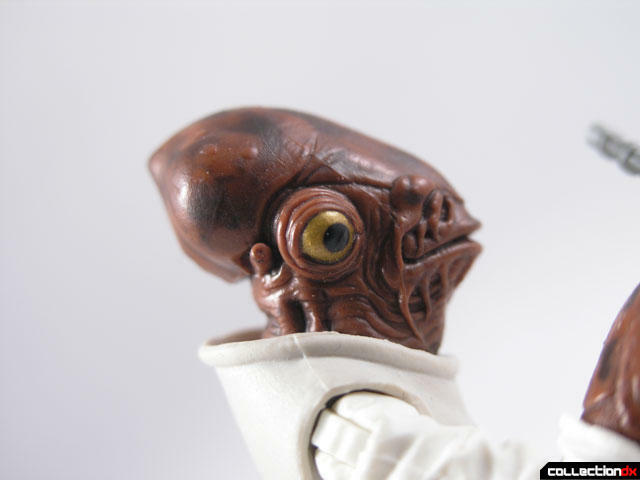 But when I was a child, Admiral Ackbar had a whole different meaning. I was 10 years old when Jedi came out, and yes, I was still playing with Star Wars figures. 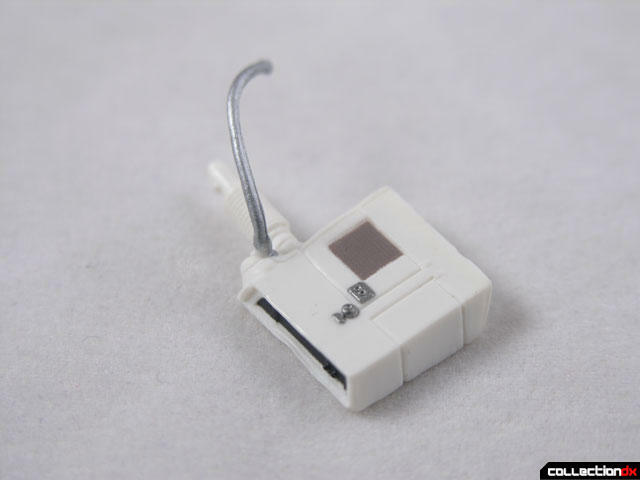 In fact, I think I still played with them right up until Junior High. And then, I only stopped for fear of someone calling me out on them. But at the time the movie came out, I was awash in Jedi figures. I had the Rancor, I had a B-Wing, I had all kinds of things. But most of all was the figures. Kenner figures had matured a bit at that point, and the sculpts and paint were much better than before. 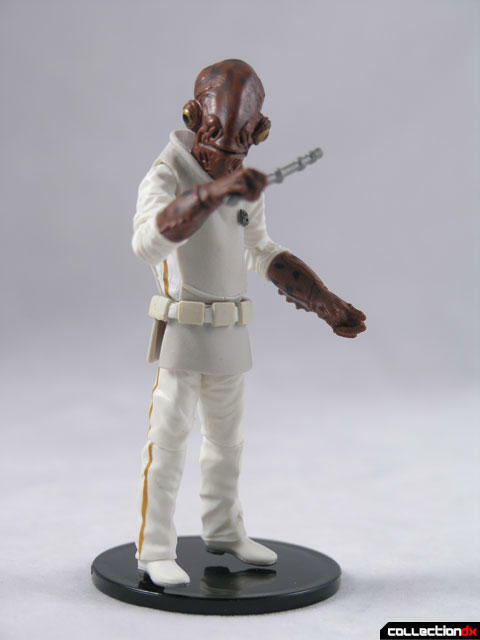 Despite having a minor part in the movie, Admiral Ackbar had a striking figure. What I also liked about the vintage figure was that holding it was a very tactile sensation. It felt good in the hand. The body was very smooth while the head was full of all these interesting bumps and grooves. I was a weird kid, these sensations meant a lot to me. They help connect me to places and things. Even today, when I go somewhere, I make a point to touch things. Side story – When I went to Japan once, I visited the Ghibli museum. You can’t take photographs inside, but outside it’s fair game. On the roof there’s a giant robot from Laputa that you can take a picture with. I took my picture, walked away, then paused. I needed to touch it. It was a cool, misty day, and the giant bronze robot was cold and wet to the touch. I’ve never forgotten that sensation. It always brings me back to that moment. 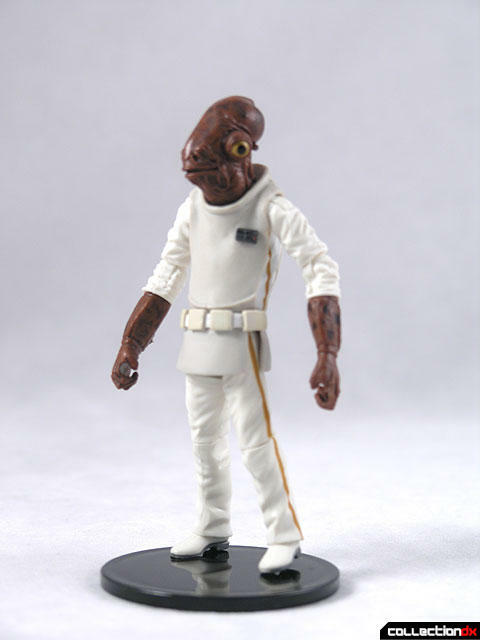 This new Ackbar figure hits all the same points, but now has added articulation. The large, lobster-like head is full of sharp detail and can move on a ball joint. The rest of the body features the usual assortment of swivel and cut joints. The paint is good, the detail is good, and the articulation is much more than is necessary for a character that basically sits in a chair. Still, it is appreciated. 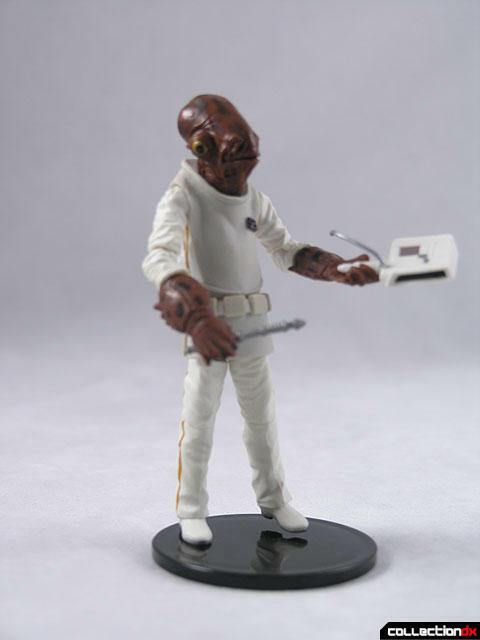 Accessories include an odd control panel, and also Ackbar’s trusty baton. I have no idea what the baton does, but since the vintage one had it, I am glad the new one does. This figure is not a Trap. Well, he was in the pilot's seat of the vintage Y wing on the toy's box anyway. 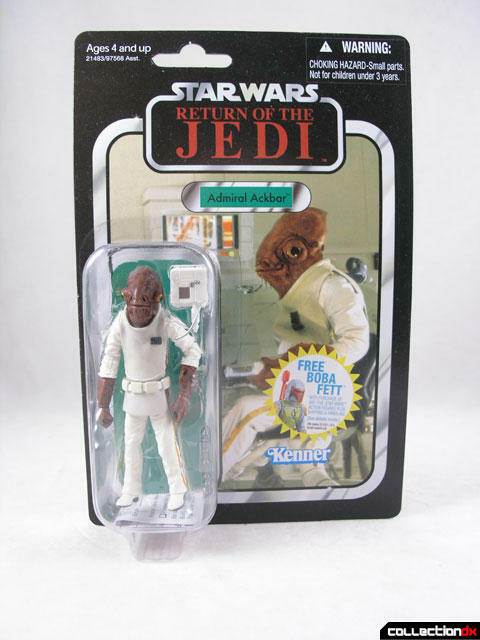 I don't know why, but now all I want is a vintage Ackbar to put in a vintage Y Wing in order to recreate that box photo. 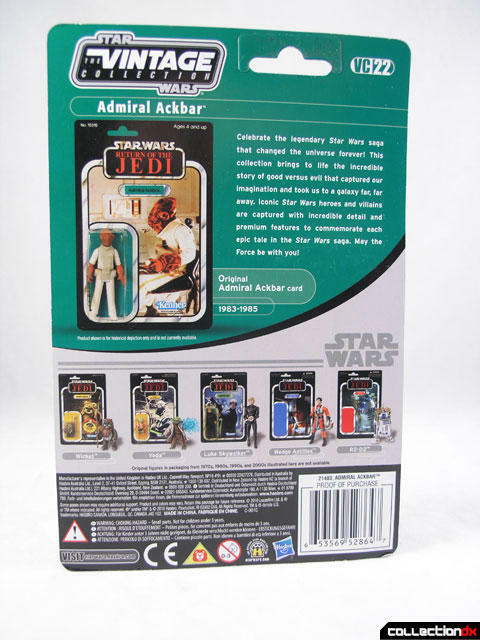 Admiral Ackbar was the first carded vintage Star Wars figure I bought when I began to collect toys way back in 1995. I have long since sold it, but will always love that figure. These vintage style toys are awesome. I bought a few of the Empire figures and my wife bought me the Target 9 pack for xmas. Thanks for the great review Josh. 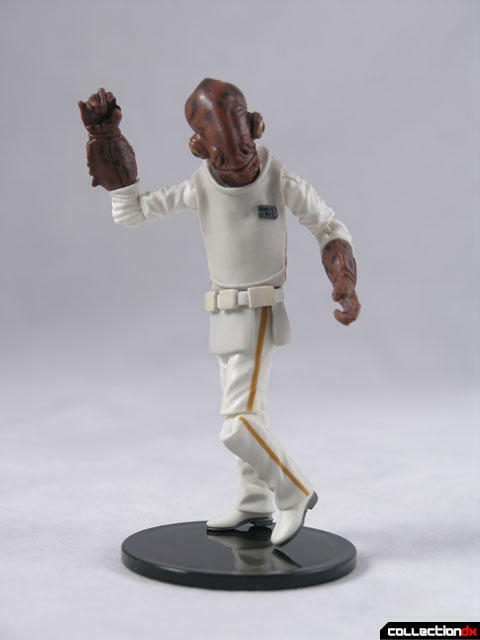 If I could only keep one SW action figure,it would be this guy.